tags: A Supposedly Fun Blog, Aaron Swartz, Avril Incandenza, Dan Gately, Dan Schmidt, David Foster Wallace, DFWForever Tumblr, Ezra Klein, Hal Incandenza, Infinite Jest, Jake Bittle, James O. Incandenza, Joelle van Dyne, John Wayne, Les Assassins des Fauteuils Roulants, Michael Moats, Michael Pemulis, Notes on Infinite Jest, Orin Incandenza, Ortho Stice, Raw Thought, The Infinite Jest Liveblog, What happened in Infinite Jest? It’s been a little over three months since the last post of the Infinite Jest liveblog, and I recently noticed the first tiny urges to jump back in and read the book again. I’m not quite ready for all that, but it seems like the right time to tackle some of the most difficult questions lingering at the end of the novel: What the hell just happened? And why did it happen that way? (I’ll tackle the latter in a second post). This approach leads to some good resources for piecing together the actual events. Aaron Swartz at Raw Thought has the best explanation I’ve seen so far, a concise, linear and well-built case for what happened, even if some of his conclusions are debatable. Ezra Klein has some interesting thoughts about the impact, if not the actual details, of IJ’s ending in a post called “Infinite Jest as Infinite Jest.” And Dan Schmidt’s “Notes on Infinite Jest” answers some questions while raising others. Previously posted at Fiction Advocate. Like deja vu all over again. In lieu of 500 words on why you should read “Cloud Atlas,” I offer you the trailer for its film adaptation, and tell you that I am very, very, very excited about it. I feel compelled to also mention that unraveling the book is part of its charm, so be warned that the video below may warrant a mild SPOILER ALERT. Do you want to trade paperbacks? This post previously ran on our new home, FictionAdvocate.com. “Goddam money. It always ends up making you blue as hell.” So says Holden Caulfield, and so say the last five years of American history. The dominoes that started falling in 2007 led to lost homes and empty retirement funds for millions of Americans, and lost performance benefits for the people who set the dominoes up. Americans sputtered with outrage in every city and small town, throwing out the old bosses in 2008, then opening the doors to a louder and stunningly less competent group of new bosses in 2010. Economists, investors, world leaders, law makers and voters around the world have struggled to understand exactly what happened, and determine what needs to happen next, and pretty much everyone is still blue as hell about it all. Hollywood has responded with a sequel to “Wall Street,” but what about our publishing houses? Read the full post at Fiction Advocate. If boredom is a sin, does that make it interesting? 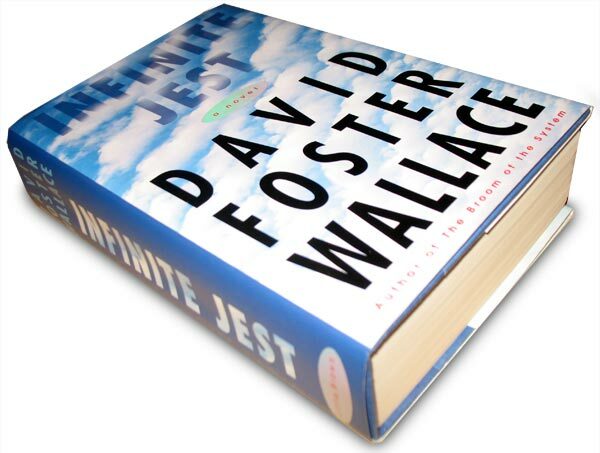 A great deal has already been said1 about The Pale King, David Foster Wallace’s posthumous, “unfinished” (according to its own title page) novel and the follow-up to the manic-depressive masterpiece Infinite Jest. For that reason, I’ll stick to the thing that I consider to be the single strangest part of this strange novel: its opening chapter.